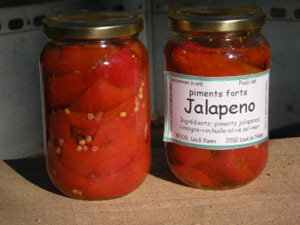 Our jams are not certified organic; however principal ingredients are organic. 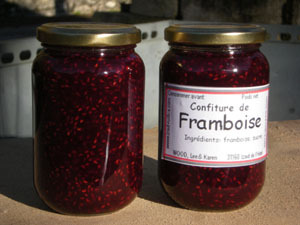 The blackcurrants and raspberries are from our own production and the sugar is certified organic. 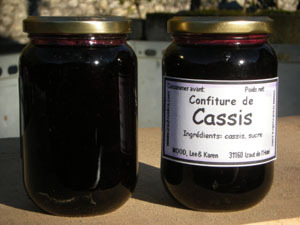 Sometimes we are able to provide cherry or plum jams which are made with non-treated fruit from a neighbour's orchard. 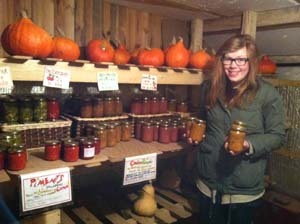 We produce the principal ingredients for our chutneys: butternut squash, potimarron squash (uchiki kuri) and beetroot. The apples come from a neighbours orchard and are not treated with chemicals. 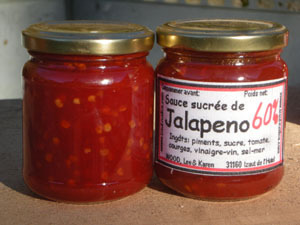 The spices, vinegar, dried fruit and onions are not certified organic. 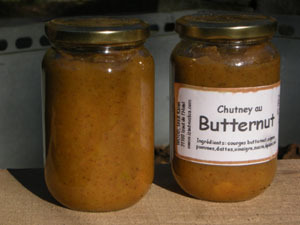 Chutney is a sweet and sour condiment, made with fruits and vegetables cooked with a mixture of vinegar, sugar and spices. Originating in India, it is there most often eaten raw and rarely sweet. Durung the colonial epoch the english began to commercialise it adding sugar and pulling back on chilli content judged too strong. It has become a British speciality now available in many different flavours. 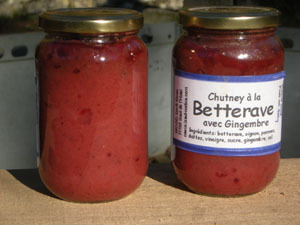 How to use chutney ? 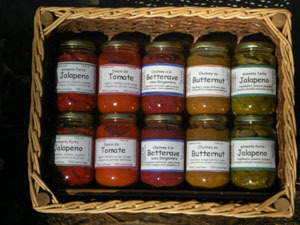 Traditionally, chutney accompanied curry dishes. 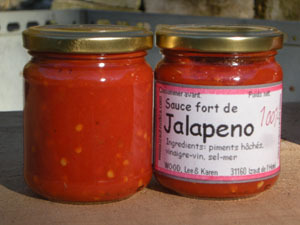 Today it is served with roast vegetables, certain meats, cheese or as an apperitif. 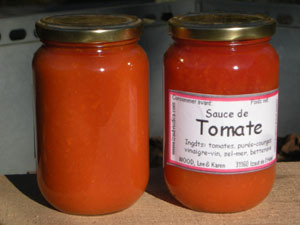 It serves to enhance natural flavours (like mustard). It is normally served cold. 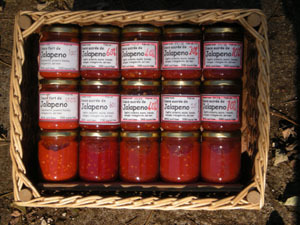 The chillies used are from our own production; a Jalapeno variety which reddens with the sun. The sugar used is organic but certain ingredients (vinegar, salt, olive oil) are not. All fruits and vegetables which come from our own production are now fully certified organic. We work with the seasons, without polytunnels, without chemical fertiliser or pesticide. The only sugar used in our bottling process is organic.